Noel Reid makes no mistake with that penalty goal attempt. The defensive line has been broken as Billy Searle goes through the gap. Hugh O'Sullivan comes on for Leinster. Jamison Gibson-Park leaves the field. The touch judges raise their flags as Noel Reid kicks the conversion. What a run here by Rory O'Loughlin as they gets over the gainline!. Rory O'Loughlin played a key part in that try. Great hands by Leinster leads to a try for Noel Reid. Garry Ringrose makes the break as the defence re-enacts the parting of the red sea. Leinster decide to make a substitution, with Noel Reid getting some game time. 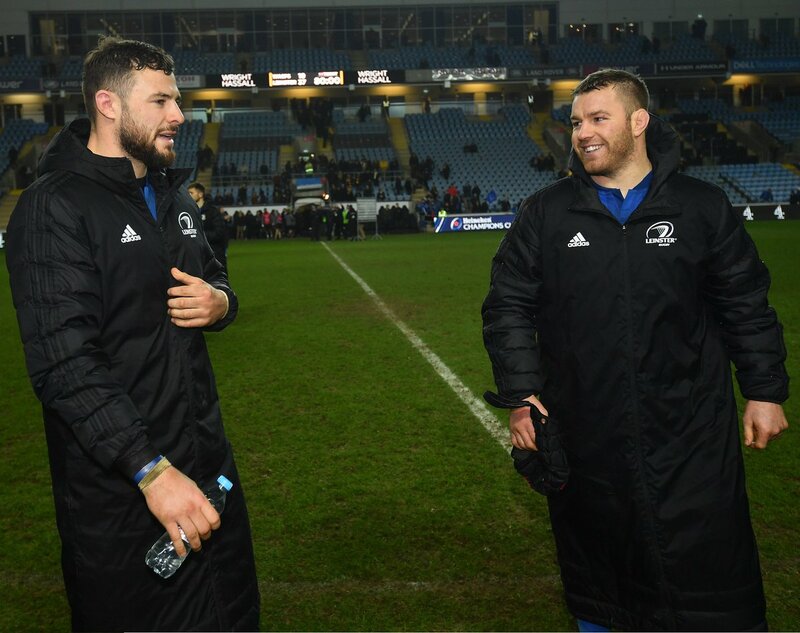 Leinster decide to make a substitution, with Ross Byrne being replaced. Wasps make a substitution with Marcus Watson coming on. Wasps make a substitution with Rob Miller coming off. Wasps sub Billy Searle comes onto the field. Lima Sopoaga departs for Wasps. Fabulous play by Wasps has led to Dan Robson being able to wriggle through a gap. Rory O'Loughlin comes on for Leinster. Robbie Henshaw leaves the field. Ross Byrne does the business as his conversion attempt goes over. Nobody could stop that maul! Sean Cronin places the ball down for the try. Wasps decide to make a substitution, with Ben Harris getting some game time. Wasps decide to make a substitution, with Zurabi Zhvania being replaced. Leinster make a substitution with Andrew Porter coming on. Leinster make a substitution with Tadhg Furlong coming off. Leinster sub Scott Fardy comes onto the field. Devin Toner departs for Leinster. Nathan Hughes scores the try from close range. Josh van der Flier has made 10 good tackles so far this game. Cian Healy comes on for Leinster. Jack McGrath leaves the field. Ben Morris has made 10 good tackles so far this game. Tom Cruse has made 10 good tackles so far this game. 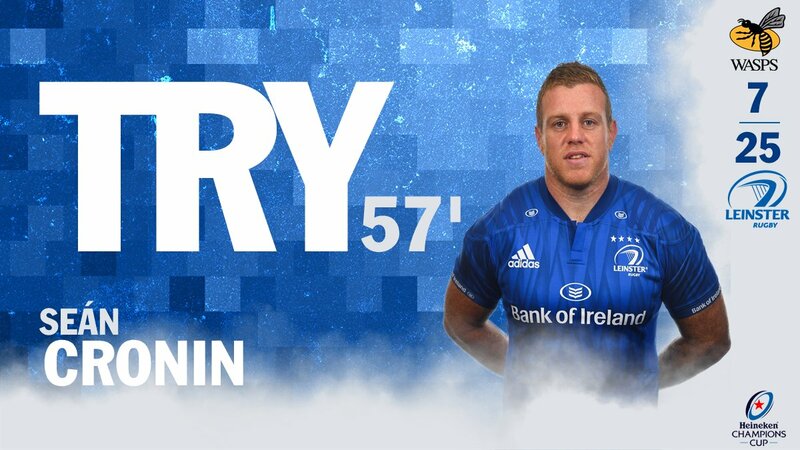 The Leinster pack has powered over for Sean Cronin to score the try. Trouble here as Adam Byrne breaches the defence. This is dangerous for the defence as Michele Campagnaro bursts through to advance the Wasps attack. Ross Byrne has kicked a conversion. Leinster are only a few metres out, surely they must score! And they do with Garry Ringrose touching down. Ross Byrne has kicked a penalty goal. A gap opened in the defence and Sean O'Brien took full advantage. The defensive line has been broken as Adam Byrne goes through the gap. 👏 Thank you to all our fans for support home and away throughout this European campaign. 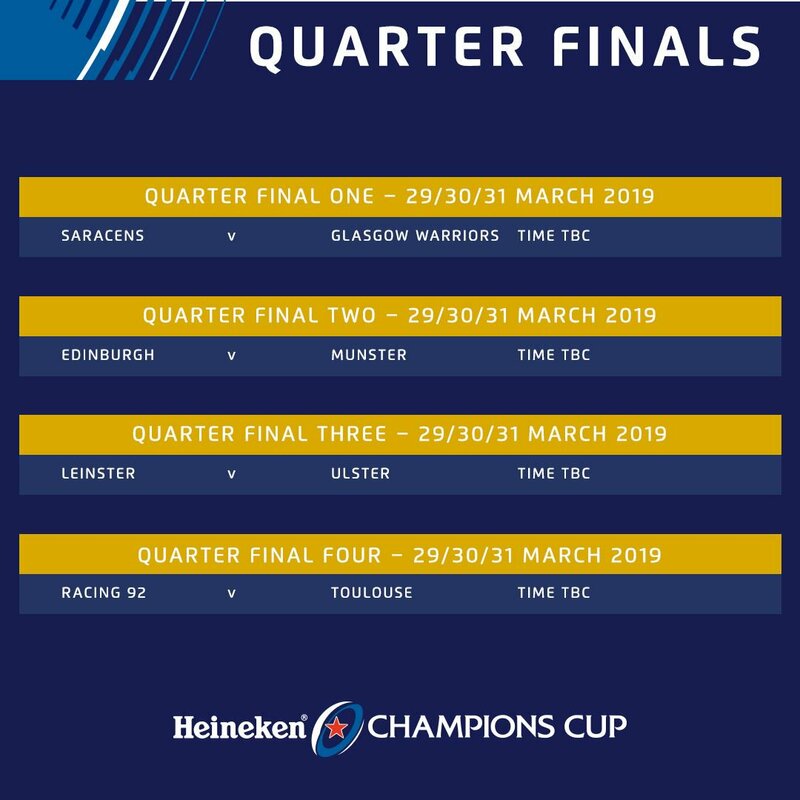 We will be at home in the Heineken #ChampionsCup Quarter-Finals against @UlsterRugby! 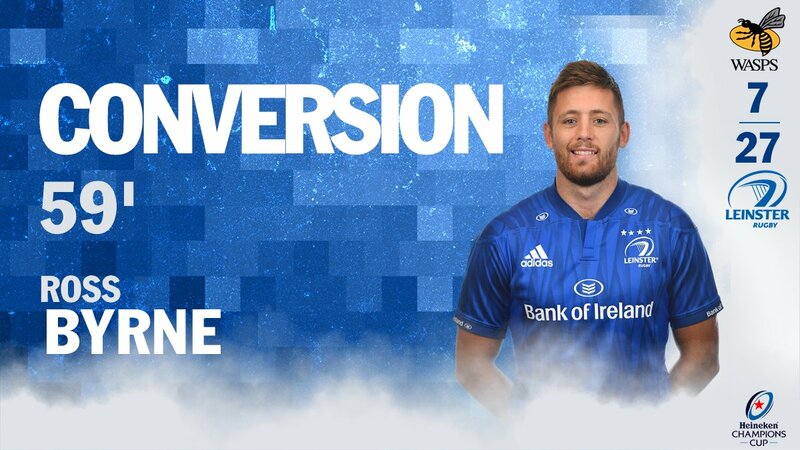 79' Leinster win a pen now though inside the Wasps half and that should pretty much end the game..
78' Smashley tries to live up to his name....now wide to GABY!!! 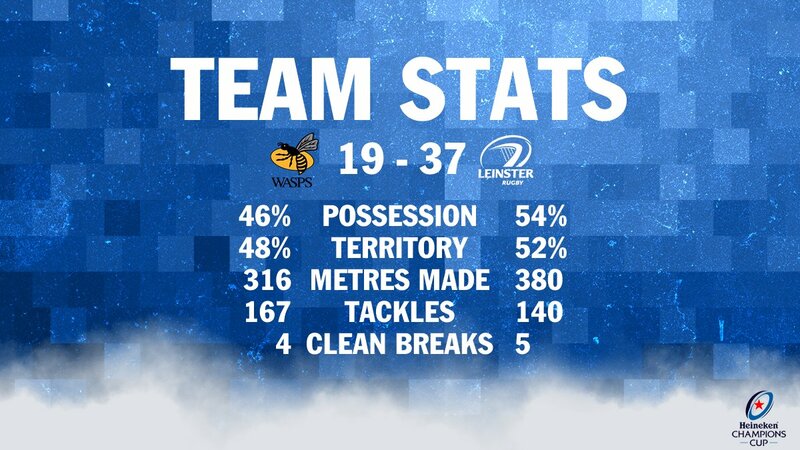 76' Wasps kick in behind now looking to conjure something up and Leinster knock it on gifting us scrum on the 22. 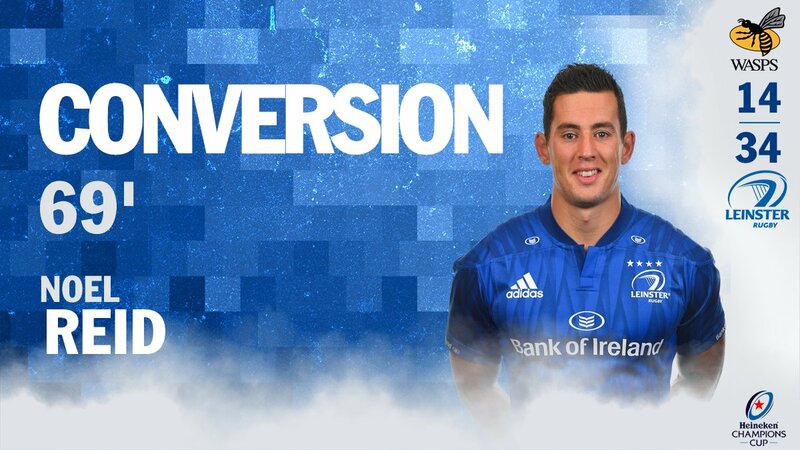 74' Loose pass goes to touch for a Leinster throw on halfway. But the throw isn't straight, so we'll have a scrum. 72' Wasps looking threatening as they get it wide but a knock-on gives Leinster scrum by the 22. 70' 🔁 @d_jrobson goes off for @craighampo9. 69' TRY Leinster and that was pretty impressive. 66' Penalty Leinster for a high tackle. Replacement Noel Reid's first input will be to kick to touch.